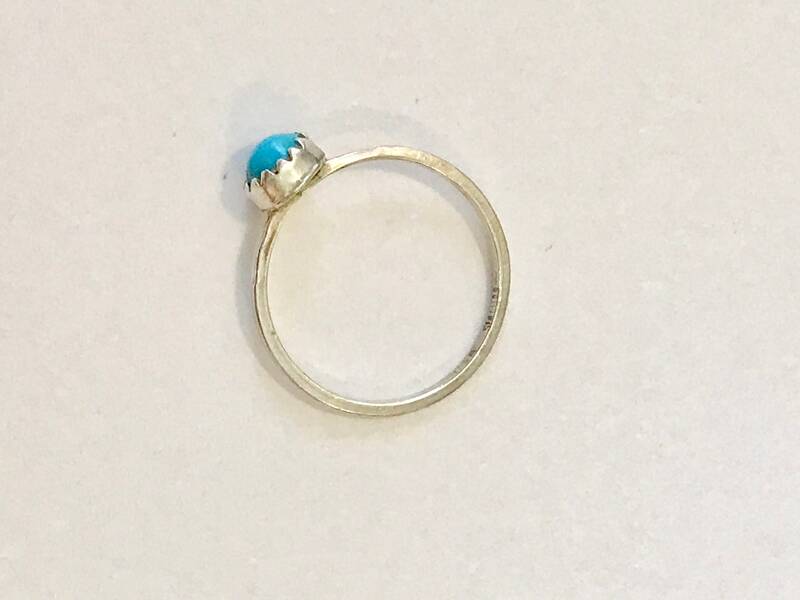 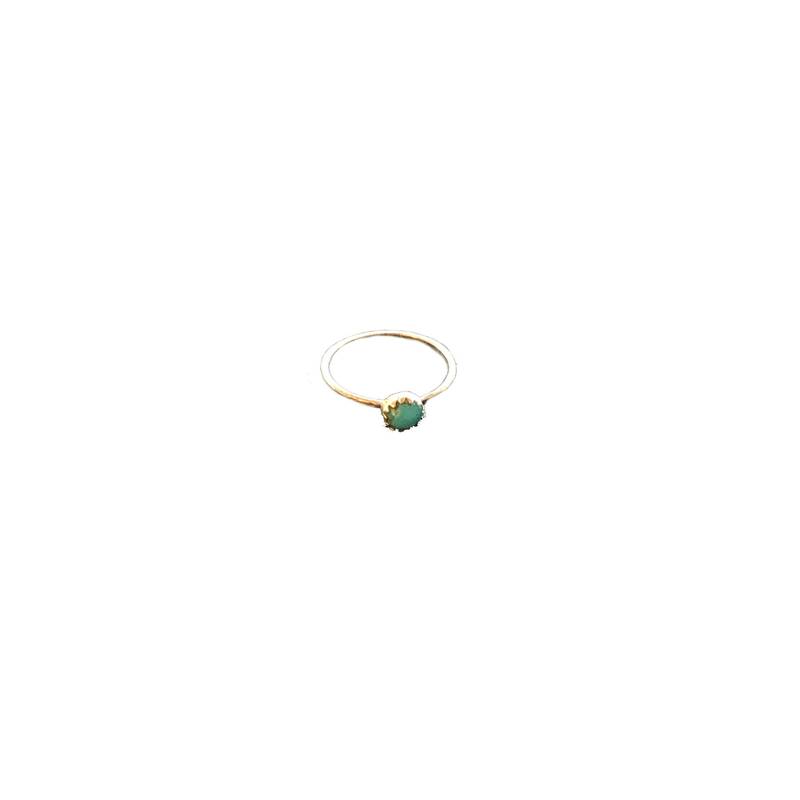 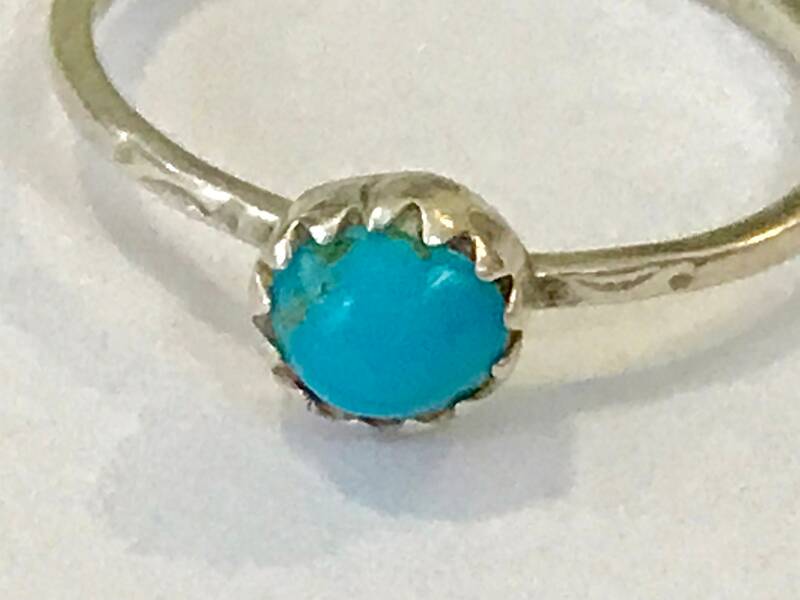 Stackable or alone, this is a very cute sterling silver and turquoise ring. 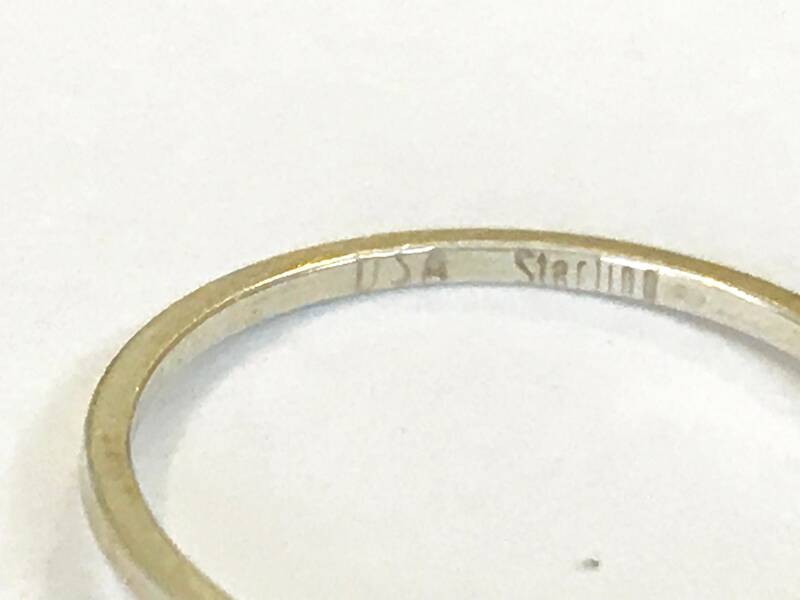 The inside stamp reads U.S.A. Sterling. 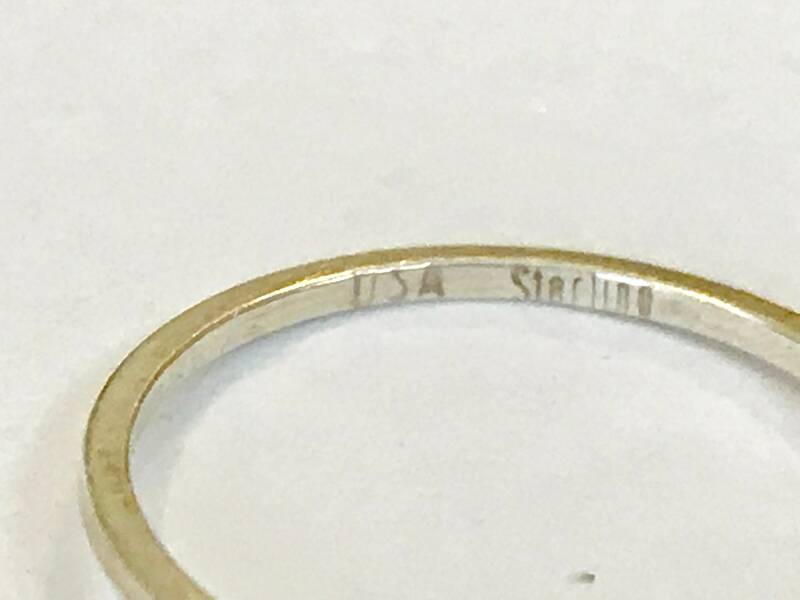 There's a small detail etched into the band on either side of the stone. 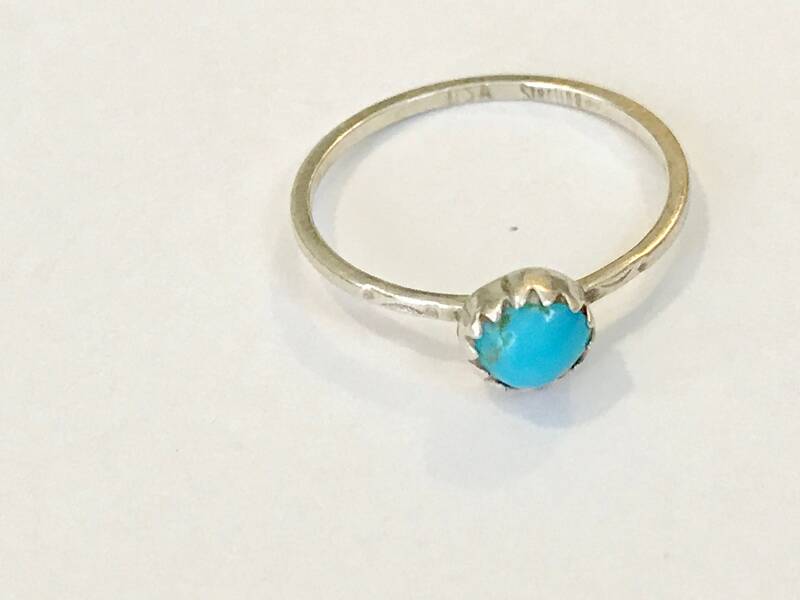 The size is approximately 6.5.